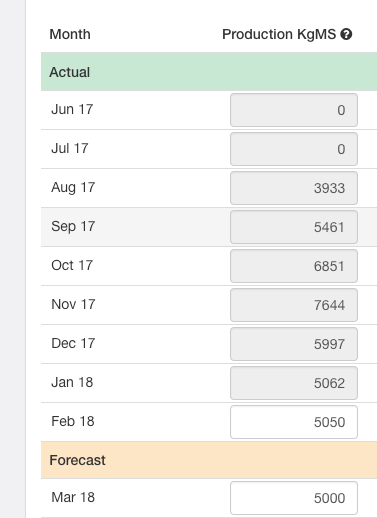 Figured's connection to Fonterra means that each month as Farm Source updates your total monthly milk production, those numbers come directly into your Fonterra milk tracker. 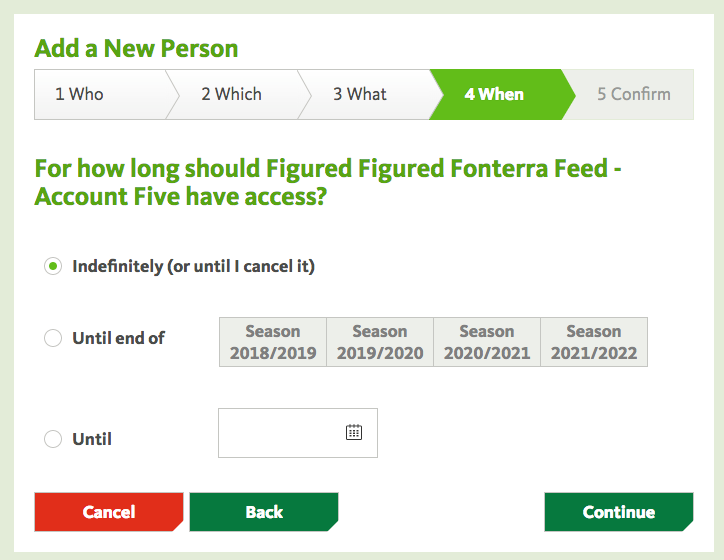 You can connect all of your Fonterra supply numbers to a milk tracker in Figured. 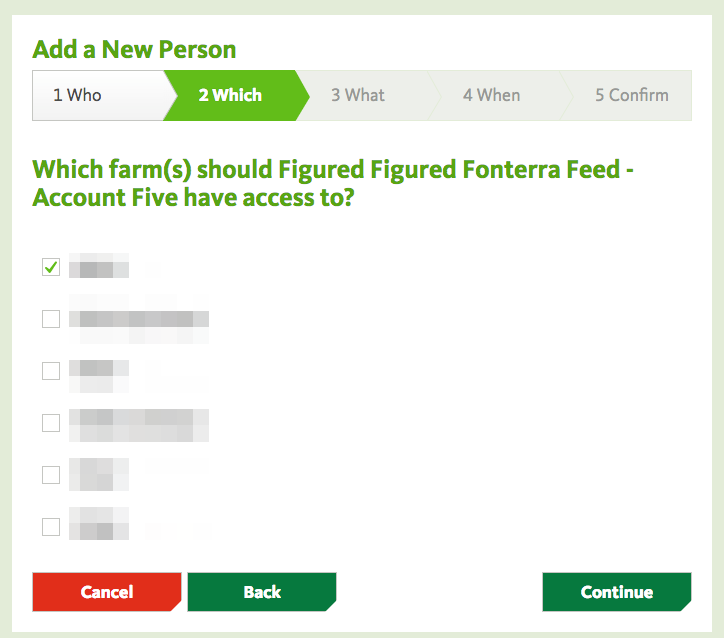 In your Fonterra milk tracker settings you'll see an option to Add Supply Number. After clicking that, you'll need to enter your supply number and accept the terms and conditions. 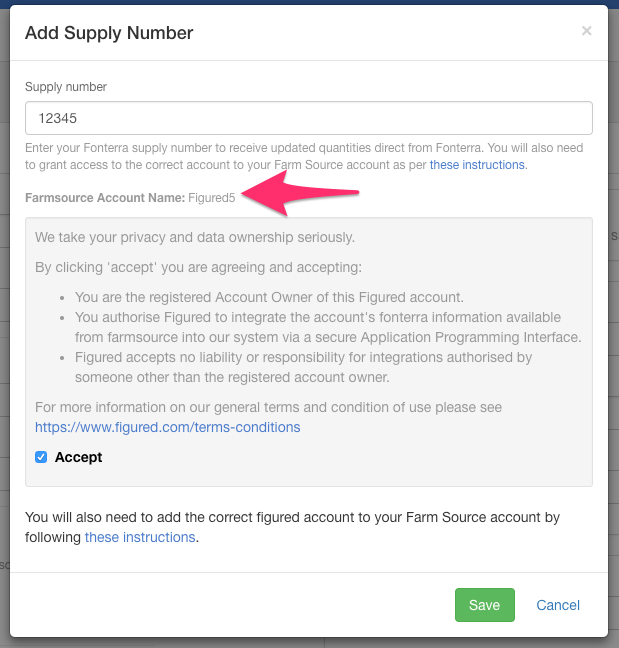 It is worth noting the Farm Source account name section as this is the name of the account you will use to grant Figured access to your production data. 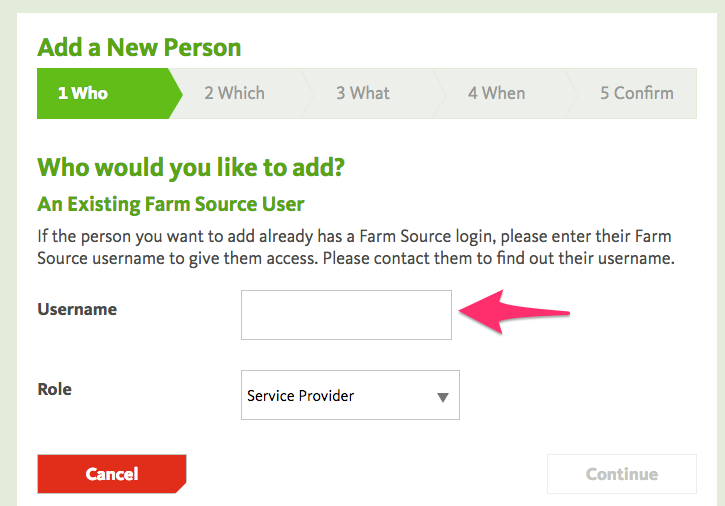 After you've configured Figured, you'll need to login to your Farm Source account and head to your account name in the top right > Business Settings > Staff and 3rd Party Access. Next you'll want to click + Add New Person. On the following page, you'll enter the Figured username that's displayed in your tracker settings. You can mark our role as a service provider. On the next page you can select the supply number(s) you wish to grant Figured access to. 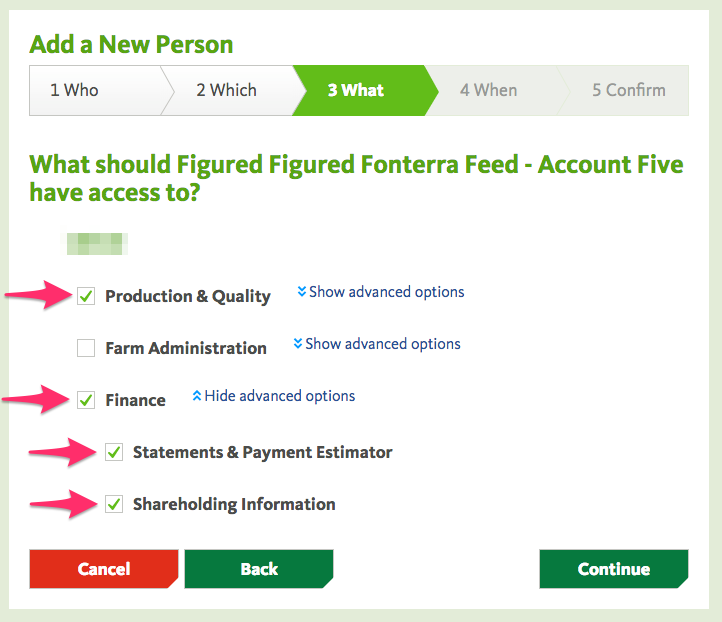 On the next page you will need to grant Figured access to Production & Quality, Finance, Statements & Payment Estimator, & Shareholding Information. The final part of the setup is to set how long you wish Figured to have access to your supply number - we recommend indefinitely which can then be revoked as needed. Once you've granted Figured access to your supply number, the Figured team will verify the connection which will finalise the setup. After that, if you head back into your milk tracker settings, your supply number will display Verified and you'll be able to complete a sync of historical production data. The sync from Farm Source will take about 10 minutes, and then all synced production data will show display as an locked number in your milk tracker.